There’s something uniquely wonderful about Tasmania’s East Coast in springtime. At this time of year, the scenery is breathtaking, the days grow longer and the east coast landscape comes alive. Flowers spring from roadsides, new growth gleams on hillside vineyards, lambs frolic in the paddocks, the sun sparkles off the sea, and the gentle curves of the road are uncrowded. It’s an ideal time to take a break. And you’re in luck, as we’re hosting a fabulous competition with a treasure chest filled with generous prizes. To help you plan your perfect spring getaway, we’ve also curated a swag of great deals for accommodation, food and experiences. You can see all the deals and enter the competition here. To help you dream about and create your ultimate spring getaway, we’ve asked a few locals who know the coast intimately, to share what they love to do along the coast in spring. Let’s see if these seven ideas inspire you to plan your own relaxing spring getaway. Maria Island is a special place, where breathtaking, wild beauty and close encounters with wildlife are everyday events. 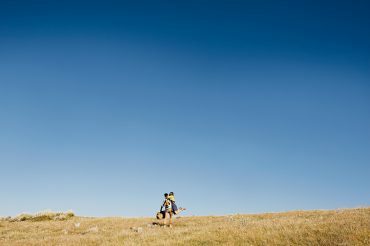 Climb mountains and look over blue seas, swim in crystal clear bays and walk soft, white beaches. This is a wild and gentle island, a place to linger, to leave ordinary life behind, and be enchanted. 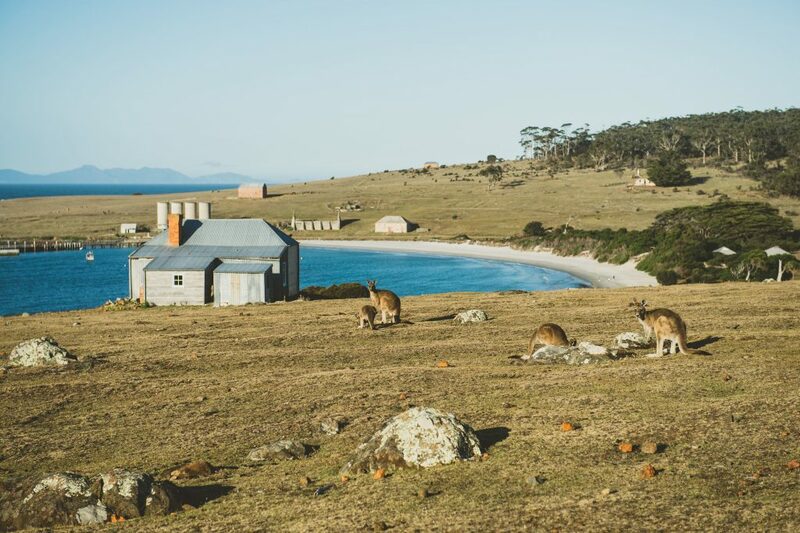 Maria Island is so full of wildlife, you’ll have a hard time missing it. 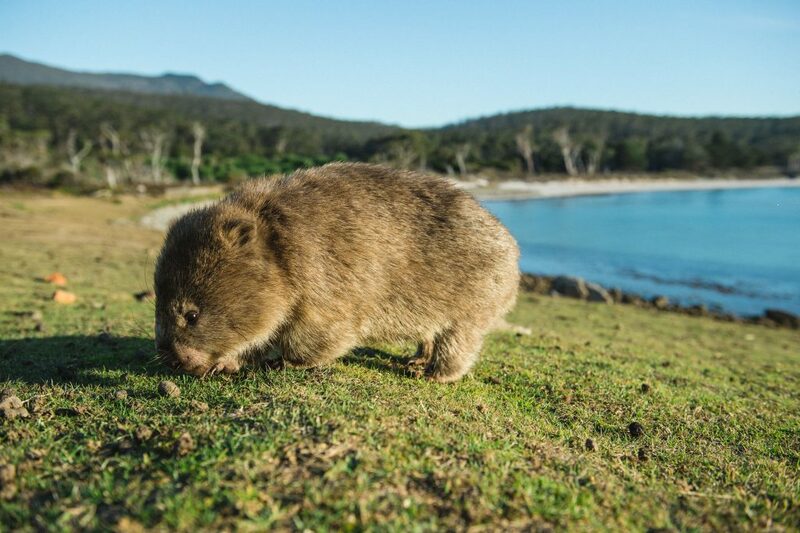 Expect to see Forester kangaroos, wallabies, wombats and loads of birds, including Cape Barren geese. You can see it anywhere on the island, but especially around at Darlington and Campground. Experience World Heritage-listed convict history and discover the stories of the many people who have tried to tame Maria Island. Maria has a many-layered history – from its life as a convict probation station, to Diego Bernacchi’s prosperous vineyards and the industrial cement works of National Portland Cement Ltd.
Visit Darlington Probation Station. Walk or hire a bike to see Maria’s historic buildings and ruins or cycle to the Fossil or Painted Cliffs. Visit the Commissariat Store for information about Maria Island’s history. View the interpretive displays in Maria’s historic buildings around Darlington. 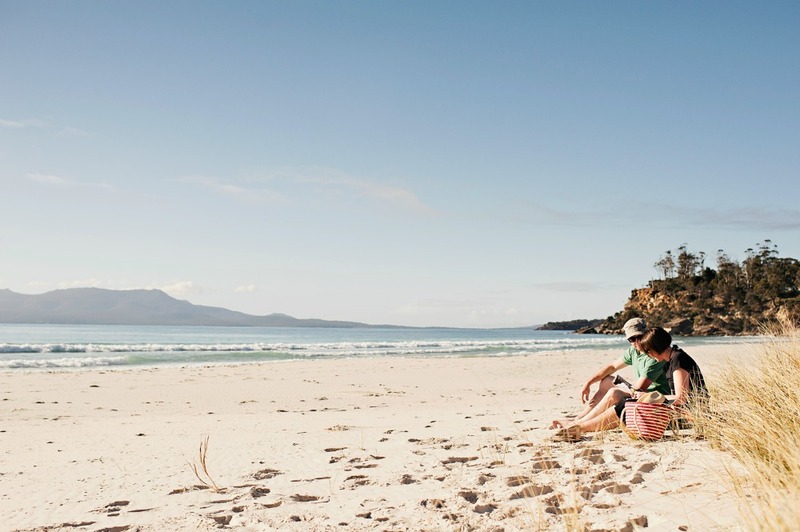 For more information on planning your Maria Island trip, read this article. A great way to see this amazing island is on a guided walk with those who know the best places to go. Join the Maria Island 4 day Guided Walk to really absorb the magic of Maria Island. MARIA ISLAND GUIDED WALK: 10% off a 4 day guided walk for the 2018/19 season [ferry option only]. Visit their website and use “springgetaway” in the coupon field. You can also win this wonderful experience in our spring competition! If you’re planning a day trip to Maria Island, here are 4 great places to stay. TWAMLEY FARM: Win 2 nights at this charming property in our spring competition or grab their spring deal: Stay two nights and spend a magical day exploring Maria Island. Package $600 for two guests. Includes: Two nights accom, full breakfast provisions, ferry tickets, gourmet picnic pack for your day on the Island. Call 0439 114 996. TRIABUNNA CABIN & CARAVAN PARK: Win 2 nights here in our spring competition or grab their spring deal: Stay 2 nights for 2 Adults and receive complimentary private BBQ & gourmet meat pack. Valued at $320 you pay only $270! Call 03 6257 3575. ORFORD SANDA HOUSE: Spring Deal: Receive 15% discount on 2 night bookings at the gorgeous, heritage listed Orford House. Call 03 6257 1527 and mention the spring deal. EASTCOASTER RESORT: Win 1 night here in our spring competition or grab their spring deal: Stay for 3 nights & pay for 2. Call 03 6527 1172. 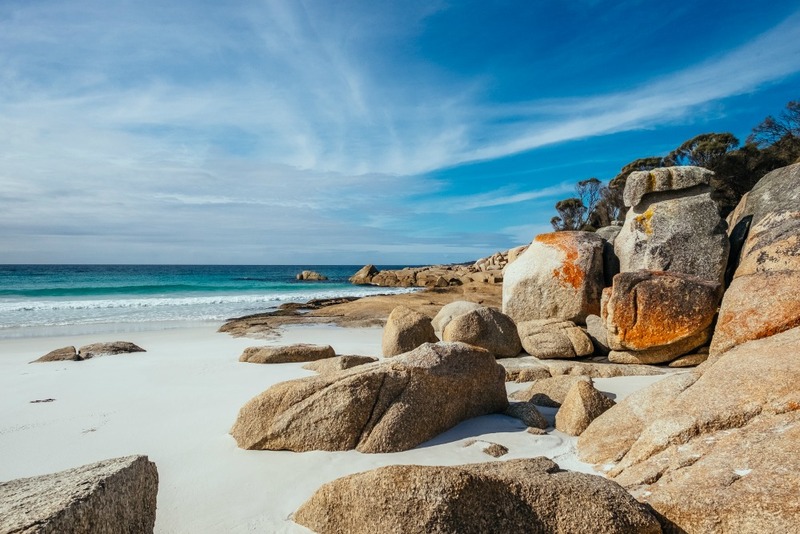 The Bay of Fires is known all over the world for its extraordinary clear blue seas, brilliant white beaches and striking orange lichen-cloaked boulders. It inspires a string of superlatives from every person lucky enough to come here, and it’s one of the most idyllic holiday destinations imaginable. 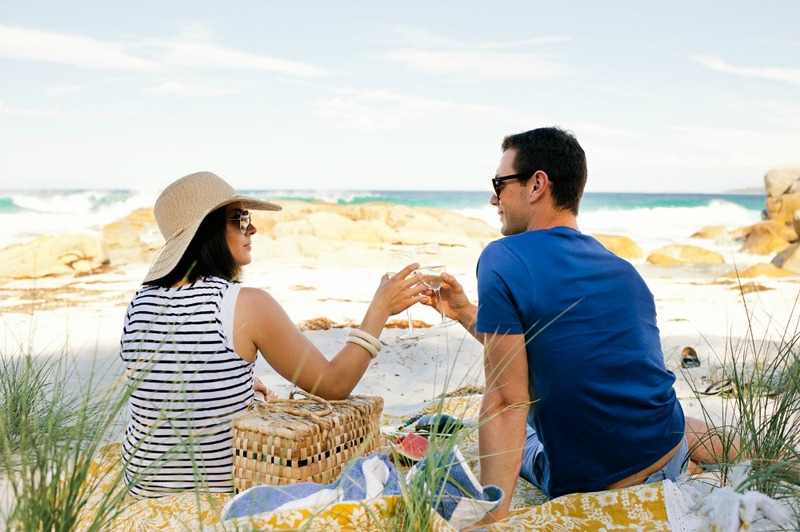 Here’s a few things the locals love to do along the Bay of Fires in spring. Spring is one of the most magical seasons along the Bay of Fires. There are secret beaches to explore, or enjoy long peaceful walks in the bush. For the nature lover, native orchids can be found in bloom around Grants Lagoon in Binalong Bay. 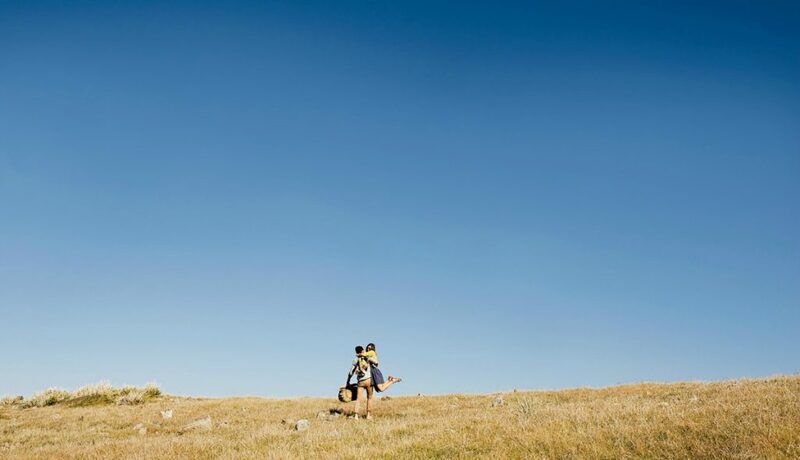 Follow your instincts and embark on a self-guided walk, or join a guided walk such as the wukalina walk. This is a 4 day guided walk exploring the magnificent larapuna (Bay of Fires) and wukalina (Mt William). For more information visit wukalinawalk.com.au, which is also a prize in our spring competition! You really need to enter! 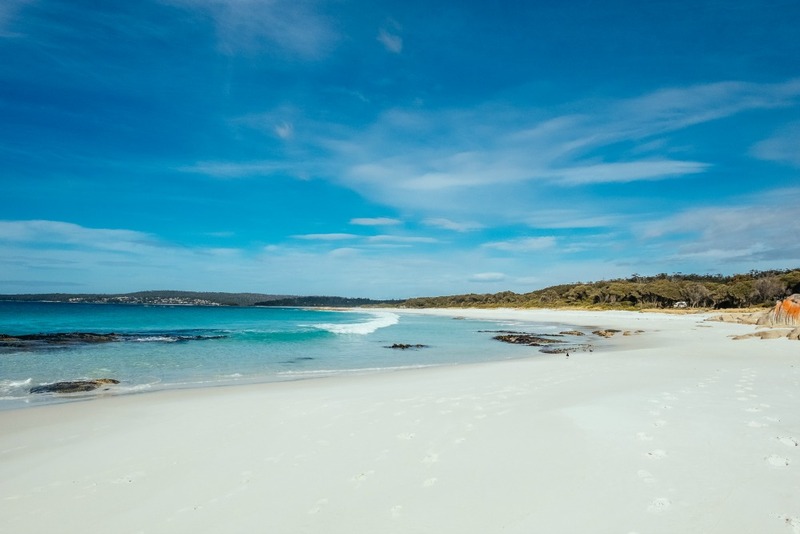 Locals love to relax on the water and cruise the clear blue waters of the Bay of Fires. You can bring your own boat, but if not, Bay of Fires Eco Tours have you covered. 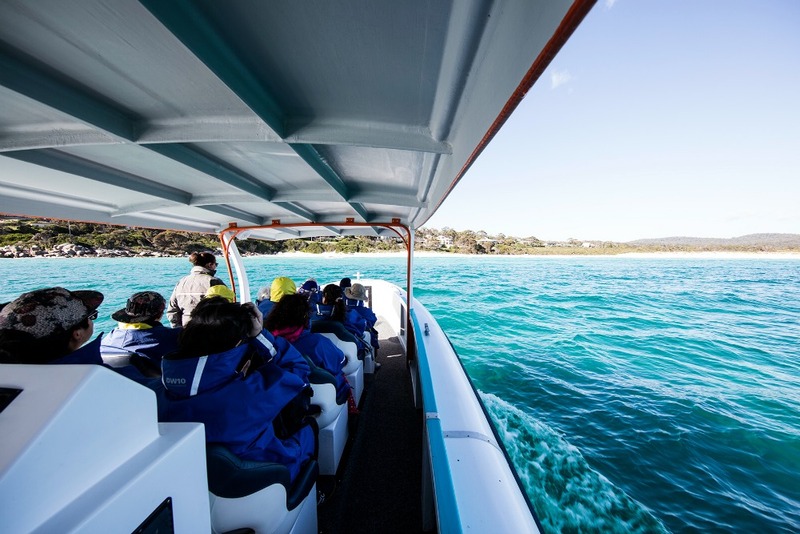 Jump on one of their guided tours and see the magnificent Bay of Fires from the water. SEA EAGLE COTTAGE: Enter our spring competition to win two nights for two at the stunning Sea Eagle Cottage overlooking the Bay of Fires. BAY OF FIRES HOLIDAY ACCOMMODATION: Choose from 10 exclusive holiday rentals in Binalong Bay. Pay for 3 nights and get the 4th free. Call 0407 808 738. 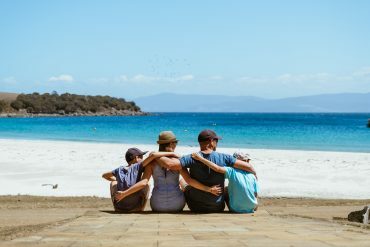 SCAMANDER SANCTUARY: Two nights glamping (glamorous camping) for two people in beautiful Scamander, which is just a 30 minute drive to the Bay of Fires. Spring deal: get 20% off for two night stays. Call 03 6372 5311 and mention the spring deal. GONE RUSTIC WORKSHOP: Sept 30, 10am-5pm in St Marys, which is approx 40 min drive from Binalong Bay. 20% off this inspiring 1 day workshop. Working in 3D with award winning artist Rita Summers. Email gonerustic@gmail.com to book & mention the spring deal. Take a 40 minute drive to St Marys, visit the quaint township and explore the quirky shops and galleries. Gone Rustic are hosting a special workshop on Sept 30 and an exhibition until Oct 27. There really is no place like Freycinet! Pictured above by Freycinet Adventures. 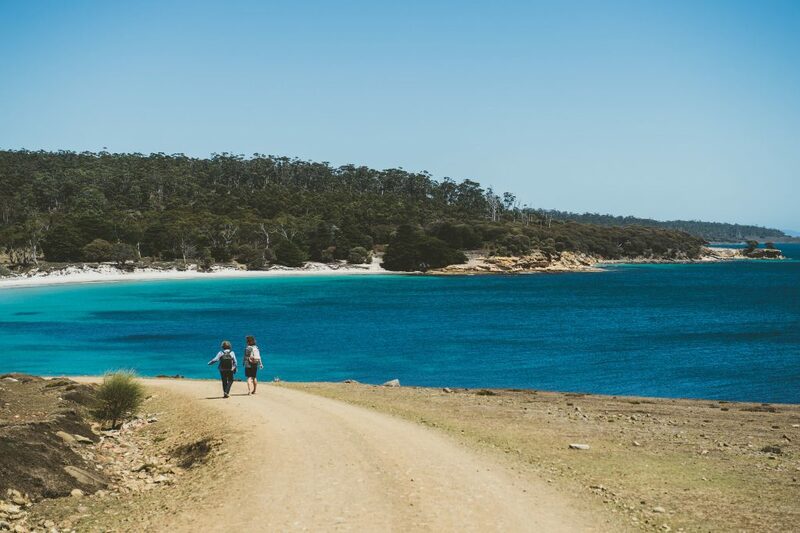 Characterised by the rugged pink granite mountains, coastal forests, clear oceans and fine white beaches, Freycinet National Park offers some of the state’s best bushwalking, wildlife encounters and coastal activities. Fringed by stunning beaches, like world-famous Wineglass Bay, and protected forests, you can enjoy everything from bushwalks – with some of the most stunning views you’ll ever see – to sightseeing cruises, sea kayaking or simply soaking up the view over a plate of something local and luscious. 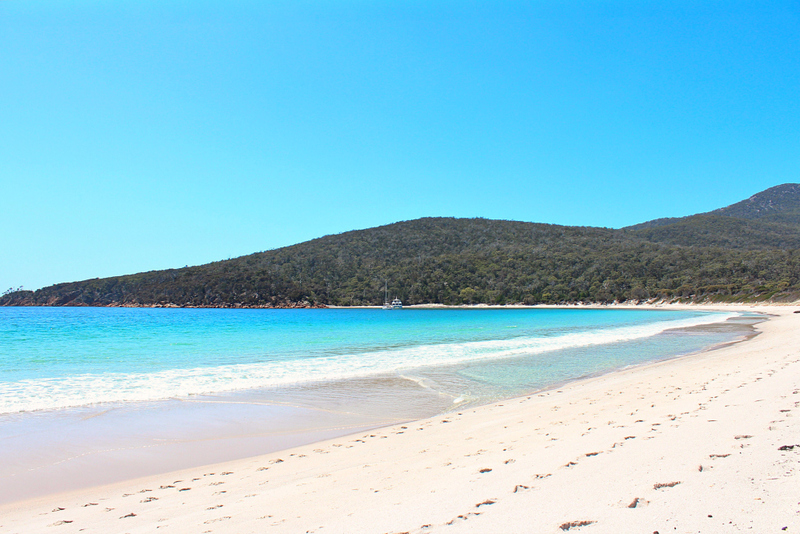 Everyone raves about Wineglass Bay (pictured above by Elise Cook). 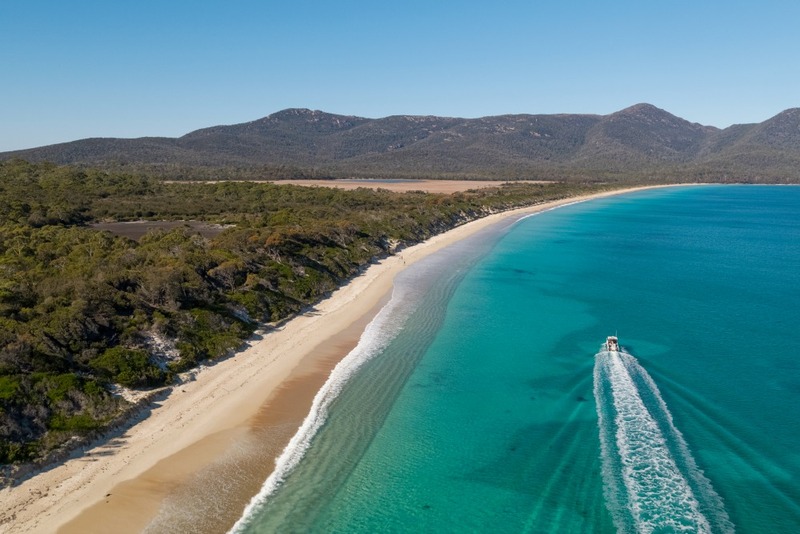 If you don’t have time to walk or cruise to this magnificent beach, a must-do is the short walk to Wineglass Bay lookout, which offers gorgeous views of this world-famous bay. It’s especially beautiful at sunrise! You can also choose from a range of longer walks if that’s your thing. Make your way to Honeymoon Bay though, and take time to relax and take it all in. Your heart and soul will be enriched! Call in to the National Park Visitor Centre when you arrive to collect a map of the Park and plan your visit. Step aboard Wineglass Bay Cruises for an unforgettable 4 hour experience. 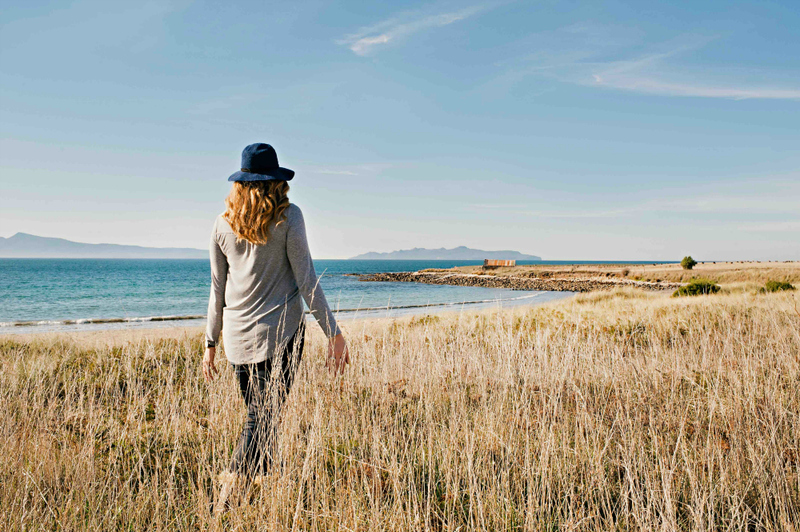 Be guided through the sights and history of Freycinet from Coles Bay to Wineglass Bay. Enjoy a delicious lunch of Tasmania’s finest fresh produce selected by the head chef at Freycinet Lodge. In spring Humpback Whales are on their southern migration, so expect spectacular sightings with calves most days from September to December. To book visit their website or win this in our spring competition. The fastest way to get to sink your toes into the sugary white sand of Wineglass Bay is by aqua taxi, pictured above with Freycinet Adventures. Get dropped off at Hazards Beach and after a short 30 minute walk across the flat Isthmus track, you’ll arrive at Wineglass Bay! Keep your eyes peeled for Australian Fur Seals and migrating whales who love to put on a show in springtime. To book visit their website or win this in our spring competition. 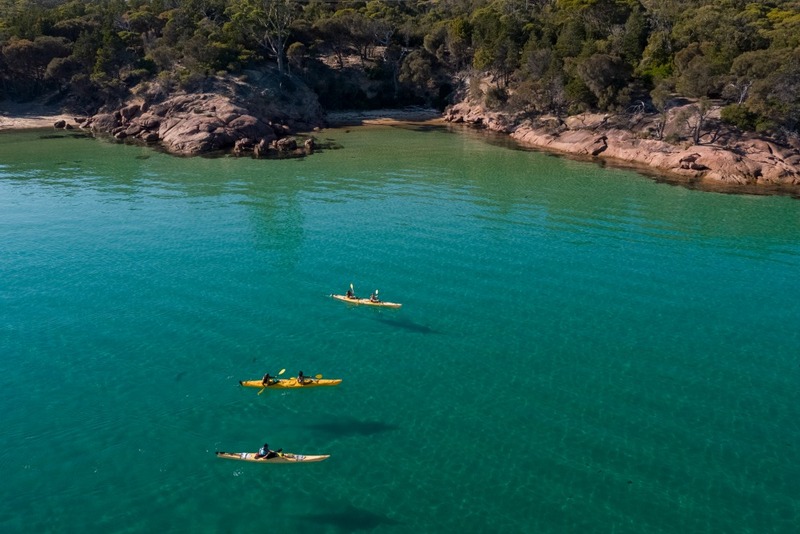 Freycinet Adventures at Coles Bay (pictured above), offers a range of guided sea kayaking experiences for an unforgettable way to see Freycinet’s coastline. Encounter wildlife—from sea eagles and gulls to little penguins, seals, dolphins, bait-fish and perhaps even a migrating whale! To book visit their website. 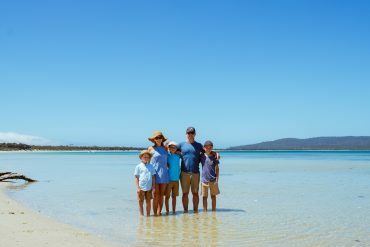 SHEOAKS ON FREYCINET: Win a stay here in our spring competition or grab their spring deal: Stay for two or more nights & receive an evening meal on the house. Book 3 rooms for 2 nights & receive free evening meals for 6 both nights. Call 03 6257 0049. APLITE HOUSE: Stay for 3 nights at Friendly Beaches & pay for 2. Email aplitehouse@gmail.com. PICNIC ISLAND: Stay on your own secluded, private island! Book 4 nights & pay for 3. Call 0411 255 179. WINEGLASS BAY CRUISES: 10% off for both the Vista & Sky Lounge. Call 03 6257 0355. 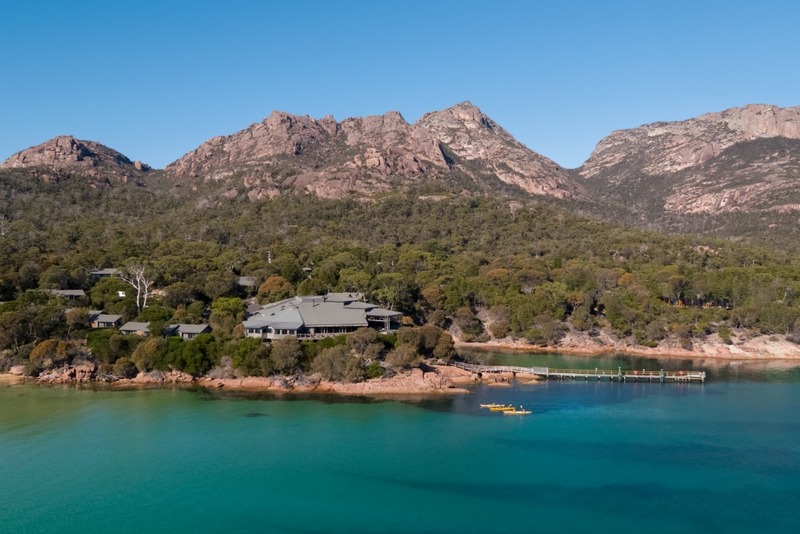 FREYCINET ADVENTURES: 15% off full priced rates. Call 03 6257 0500. TIGER ADVENTURE TOURS: A guided, 4hr private tour of Freycinet. Wineglass Bay, Cape Tourville & Bluestone Bay. Special deal $180 pp. Call 0416 983 926. When you embark on the Great Eastern Drive, you’ll need to come with an appetite. This journey will lead you to delicious experiences in some of Tassie’s most beautiful locations. The mild climate of Tasmania’s east coast creates perfect growing conditions for premium fresh produce, from fine cool climate wines, award-winning cheeses and the freshest seafood imaginable. The Great Eastern Drive takes you along the path of the Great Eastern Wine Drive, and straight to some of the best cellar doors in Tasmania. 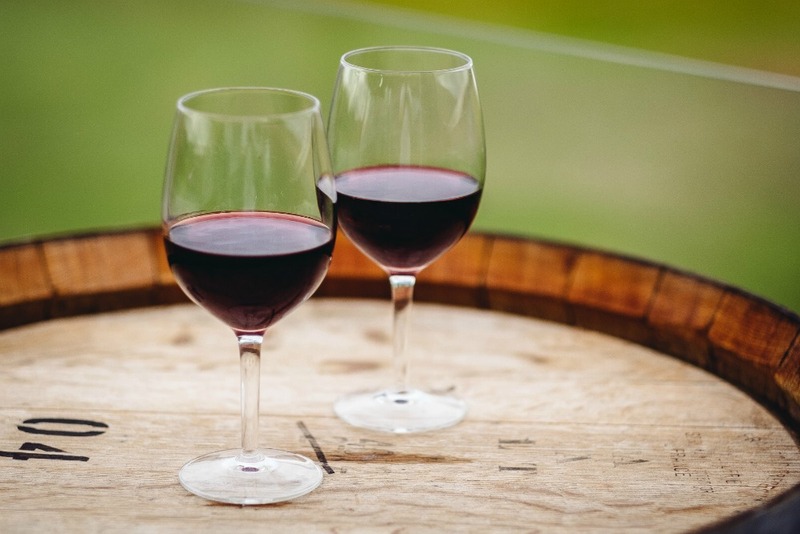 Cellar doors along the coast offer tastings and wine sales, as well as handcrafted beers, whiskys, gins and ciders. To follow the wine trail, start here. You can win one of these four experiences in our spring competition! Join the LONG LUNCH TOUR for an incredible food and wine experience, while soaking up incredible views. Visit CRAIGIE KNOWE, taste their gorgeous wines and chat to Sandy and Glenn about the oldest vineyard on the east coast. If Whisky and Gin is your thing, then you’ll love visiting – and tasting – at the SPRING BAY DISTILLERY. To arrange a Distillery tour, call Cam on 0417 351 663. 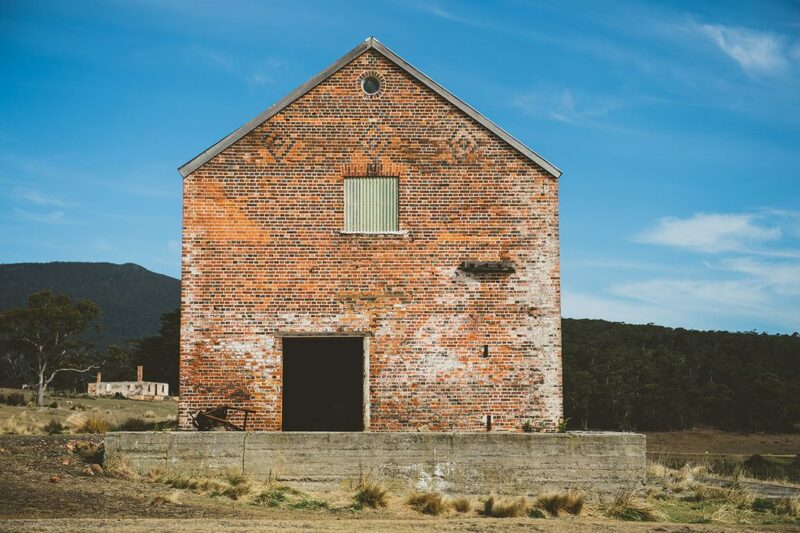 Visit SPRING VALE WINERY for Gin and Wine tastings at their gorgeous heritage listed cellar door all while soaking up the rural views at 130 Spring Vale Winery Cranbrook. And if you’re in Bicheno, visit The Farm Shed Wine Centre where you can explore a wide range of the region’s wine, whisky and gin. One of the most memorable dining experiences you can have on Tasmania’s east coast is to pack a hamper of the local produce you’ve gathered at providores, markets and farm gates along the Great Eastern Drive. Match it with your favourite east coast wine, beer, whisky or gin and unfurl your picnic blanket. Your only remaining challenge will be choosing which incredible view you’d like to soak in while you indulge your taste buds. THE LONG LUNCH TOUR: Join this delicious tour and receive a complimentary box of 8 handmade artisan chocolates. Call 0409 225 841. CRAIGIE KNOWE VINEYARD: Purchase any 2 bottles of wine and receive a Wine and Chocolate experience for half price. Visit 80 Glen Gala Road, Cranbrook and mention the deal. SPRING VALE CELLAR DOOR: Visit the Vineyard at 130 Springvale Rd, Cranbrook and the first 12 people will receive a bottle of The Splendid Gin and a bottle of The Summer Cup for $100 (save $40). Mention the offer at the cellar door. SPRING BAY DISTILLERY: 10% off cellar door bottle sales. Call 0418 270 054 and mention the spring deal. MELSHELL OYSTER SHACK: Visit the shack, 9 Yellow Sandbanks Road Dolphin Sands and get a free shucking lesson and tasting with each succulent live dozen. DEVILS CORNER CELLAR DOOR: Get a dozen oysters and a glass of the new release Devil’s Corner Resolution Riesling for $25.00. Visit 1 Sherbourne Road, Apslawn and mention the spring deal. Bicheno is one of the east coast’s most popular holiday destinations. And you can see why from the picture above by Stu Gibson! It has a mild climate, sparkling ocean beaches, beautiful coastal scenery, fresh seafood and a vast choice of great places to stay. 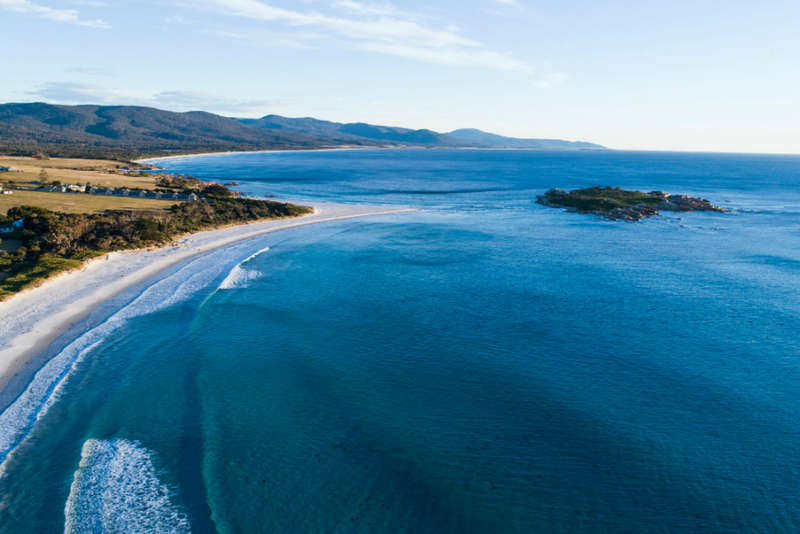 Aside from swimming, foreshore walks, beachcombing and some of the east coast’s finest fishing, Bicheno offers fantastic wildlife experiences. See the first baby penguins in spring and watch them return to their burrows at night with Bicheno Penguin Tours, which you can win 2 tickets in our spring competition. Go snorkelling at Waub’s Bay to see abundant marine life, or visit nearby Douglas Apsley National Park to see native forests, waterfalls and dramatic scenery. 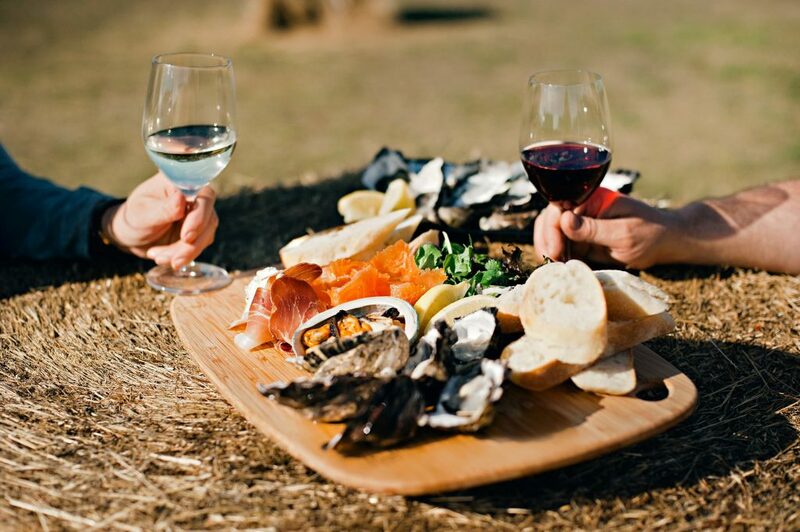 If you visit in spring, don’t miss the chance to taste luscious east coast produce at the annual Bicheno Food and Wine Festival (Nov 16-18). Enter the Spring competition to win a night or two at these wonderful locations. APARTMENTS ON FRASER: Modern and spacious, self-contained accommodation in Bicheno. Win an amazing prize here in our spring competition or grab their spring deal: 20% off accommodation plus a seafood platter on arrival. Call 0400 367 665. Morning walks from Waubs Beach to the The Gulch via Peggy Point. The cool fresh air with the glowing warm sun invites those early morning birds to catch the first sun rays. The colours vibrate off the water and the orange lichen granite rocks, are magnificent! If you’re lucky enough, a whale and its calf maybe resting in the bay. Be sure to have your camera ready! Walk the Bicheno foreshore track. Follow the track (10 minute circuit) up onto Whaler’s Lookout for beautiful views of Bicheno. Look out for whales and dolphins. Take a stroll along Redbill Beach to Diamond Island. At low tide you may be able to walk across to the island. Visit Douglas Apsley National Park and choose from a range of short or longer walks. Visit the Gulch for fresh Tasmanian seafood or cooked fish & chips takeaway. Blessed with some of the coast’s longest and prettiest beaches, Swansea is a true beachside holiday town. Swim or walk at one of the charming local beaches—Jubilee, Nine Mile, Kelvedon or Spiky. Stroll along the foreshore and dip your feet in the sparkling ocean, or drop your line in Great Oyster Bay to catch your supper. Take a lazy afternoon to explore the town’s heritage streetscapes, shops, museums and galleries. Visit Melshell Oyster Shack to try their ocean-fresh, plump succulent oysters, or whet your appetite at one of Swansea’s cafés or restaurants. Treat your palate to locally grown berries and hand made chocolates at Kate’s Berry Farm or visit a local winery to sample fine, cool-climate east coast wines. Enter the spring competition to win two nights at these wonderful locations. SWANSEA BEACH CHALETS: Beautiful beachfront accommodation overlooking the spectacular Freycinet peninsula. Win 2 nights accommodation or receive 15% off on any chalet. Call 03 6257 8177 and mention the spring deal. SWANSEA HOLIDAY PARK: Win 2 nights in a renovated family cabin, or receive 25% off standard rates throughout spring on 2 night stays. Call 03 6257 8148 and mention the spring deal. MELSHELL OYSTER SHACK: Visit the shack at 9 Yellow Sandbanks Road Dolphin Sands and get a free shucking lesson and tasting with each succulent live dozen. Orford is the perfect place for a quiet, lazy, beach getaway. Choose from Raspins, Millingtons, Spring, Stapelton and Rheban Beaches. 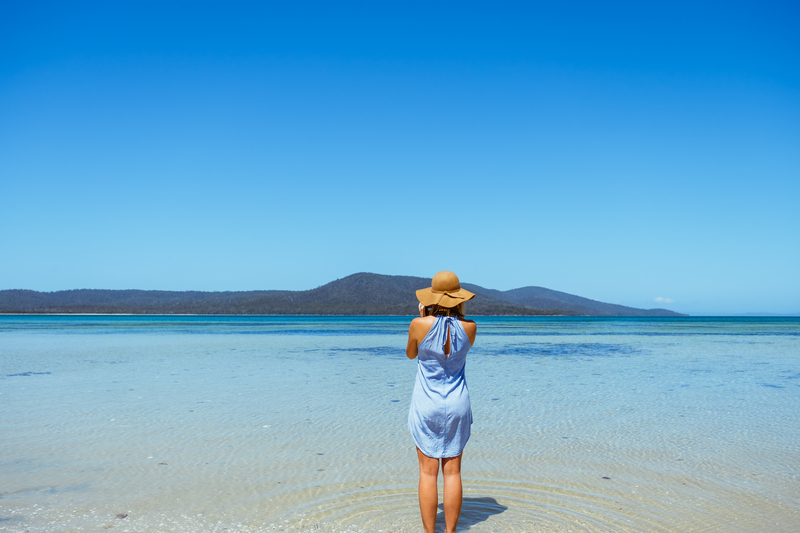 Go for a swim, take a stroll on the sand, or just laze the afternoon away while you take in the views over Mercury Passage towards Maria Island. Spring is perfect weather to explore the local area on foot—try the scenic cliff walk from East Shelley (or Rheban) to Spring Beach, walk the convict road beside the Prosser River to the ruins of Paradise probation station, or pack a picnic and head to Thumbs lookout for lunch with a view. EASTCOASTER RESORT: Win 1 night in a waterfront room for up to 4 people. Or grab their spring deal: Stay for 3 nights and pay for 2. Call 03 6527 1172. See you on the coast this spring!